Despite his long career, serving four different English monarchs we know very little about Thomas Tallis and much of what we know about his music relies on stylistic analysis and inference rather than firm facts. Part of the problem is that, unlike his younger contemporary William Byrd, Tallis was never in the courts so we have little in the way of legal trail. And none of his manuscripts survive, so the composer's intentions must be inferred from the degree of involvement his is presumed to have had in the surviving material. All this means that the smallest new fact can have a significant effect. 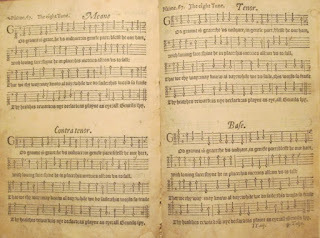 On 16 November 2015, the Tudor Partbooks project and Sidney Sussex College organised a study day at Sidney Sussex College, Thomas Tallis: Chronology, Context, Discoveries where Roger Bowers, John Milsom, Kerry McCarthy, Andrew Johnstone, Magnus Williamson and David Skinner presented papers, and David Skinner's ensemble Alamire provided musical illustrations. This culminated in a short concert at Jesus College Chapel in which three works which had been presented at the conference were performed, Magnus Williamson's reconstruction of a polyphonic Sarum Litany of 1555 with Tallis's O Sacrum Convivium, Thomas Tallis's five-part setting of Thomas Cranmer's English Litany of 1544 in a new edition by Andrew Johnstone, and David Skinner's new edition of Se lord and behold, a contrafactum of Tallis's Gaude gloriosa dei mater set to words by Queen Katherine Parr. Things started off with Roger Bowers' From the Archives: Thomas Tallis at Dover Priory in which Bowers had examined the surviving archives for Dover Priory and other similar size monasteries to glean what he could about Tallis's period of employment there. 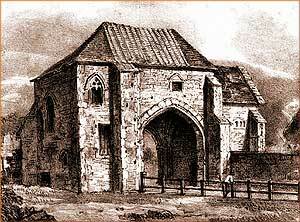 Dover Priory was a modest establishment, not wealth and Tallis seems to have been employed to direct the singing boys who provided the daily Ladymass and sang the Marian antiphon, and he was also required to play the organ on Holy Days for the monks. There do not seem to have been any trained adult voices, so polyphony would be restricted to whatever he could teach the boys. A work such as Tallis's Euge celi porta probably dates from this period with Tallis himself singing the lowest part (the tenor). It is clear that this was a modest post and not worth travelling for, so Tallis was probably in his early 20's and most likely from Eastern Ken. From other part-books of the period it is clear that his work seems to have been thought worth copying. His earliest music would seem to date from his teenage years which suggests that he trained in a major establishment. Suggestions were made, and the household chapel of William warren, Archbishop of Canterbury (also the patron of Dover Priory) seemed a likely possibility. We were then treated to a performance of Euge celi porta by four members of Alamire. 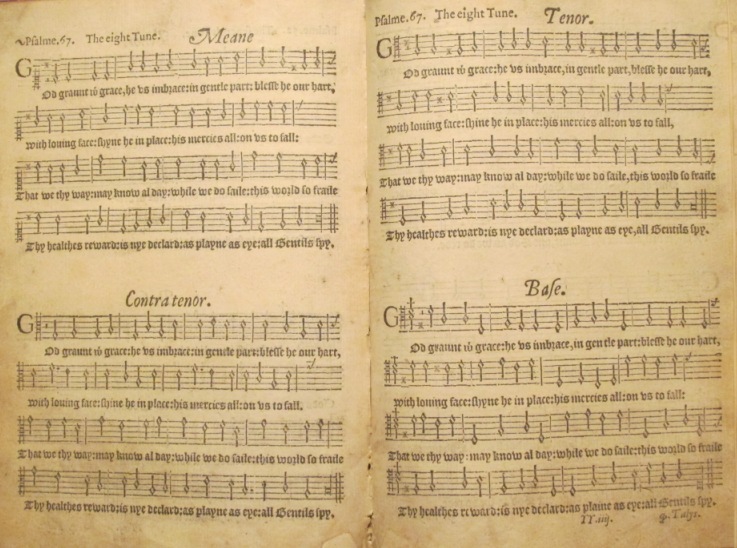 John Milsom's paper Variations on a psalm by Thomas Tallis concerned the famous Third Psalm Tune from Archbishop Parker's Psalter (the one used by RVW for the Tallis Fantasia). The first part of the paper concerned the likelihood of our misunderstanding of the use of sharps in the original and Alamire sang two versions of the piece, the familiar one and the one with what Milsom projects as the correct reading of the sharpened notes, which introduced a far greater sense of major/minor alteration familiar from Tallis's other music. But then Milsom went on to, fascinatingly, muddy the waters further by pointing out that we have no firm knowledge of Tallis's explicit involvement in Archbishop Parker's Psalter and that the tunes may well have been lifted from a different publication! Kerry McCarthy's paper New evidence of Tallis's Elizabethan anthem style looked at the anthem O Lord, give thy Holy Spirit. Kerry McCarthy pointed out that not only do we know very little about the chronology of Tallis's music, but his habit of revising and re-working pieces complicates matters. The earliest source for O Lord, give thy Holy Spirit is a single part book from the end of the 1560's. The text, it turns out, is based on a small book from the 1550's written by one of the Freewillers (who were decried by both Catholics and Anglicans alike). But the text in the form which Tallis set it dates from a bit later in the 1560's. Which shows that Tallis was writing syllabic works like O Lord, give thy Holy Spirit (which is similar in style to the simpler pieces written during the reign of Edward V) at the same time as more complex works. Though this elegant piece of detective work does rely on Tallis having written the music specifically for that text, and for that we still have no certainty. Andrew Johnstone examined the five-part English litany which set Thomas Cranmer's 1544 English litany. Though this was printed and issued, no copies survive so that we are reliant on later copies. Andrew Johnstone's paper The Five-Part English Litany of 1544: Seventeenth-Century Traces of "the Notes Sung in the King's Majesty's Chapel" convincingly set out the case for Tallis's authorship and talked about the differences in the surviving sources. His own new edition was premiered at the concert at the end of the proceedings. In Praying for a safe delivery: Queen Mary, Thomas Tallis and the Chronology of mid-Tudor Music Magnus Williamson talked about the discovery of a manuscript leaf in a Sarum processional printed in 1545. Processionals were small books designed to be carried by the singers in procession. This particular copy had been owned by a priest in Westminster but ended up in the Bibliotheque Nationale in Paris. The extra leaf contained the bass part for a polyphonic litany presumably inserted to be used in procession. 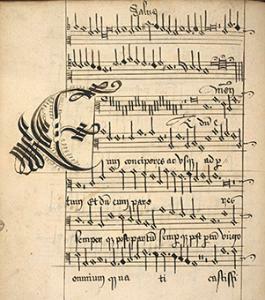 The intriguing feature is that the leaf continues, in the same hand, with the bass part for Tallis's O Sacrum Convivium and then a group of extra prayers for the litany (without music). These extra prayers provide the context and they seem to relate to prayers for Queen Mary during her pregnancy. Magnus Williamson provided a plausible context for the use (the reconsecration of St Margaret's Church, Westminster after a blasphemous attack on a priest), and the presence of Tallis's O Sacrum Convivium would seem to place it rather earlier in Tallis's chronology than had been originally thought. As there are other works stylistically linked to O Sacrum Convivium this has significant repercussions for Tallis's chronology. The final paper of the day, David Skinner's Deliver me from my deceytful enemies: A Tallis Contrafactum in Time of War, was a further piece of revising of Tallis's chronology along with a fascinating link to the religious and political events in the 1540's. In 1978 a manuscript was discovered used as padding in a wall at Corpus Christi College. It consisted of the second counter-tenor part of Tallis's Gaude, Gloriosa but with an unknown English text. 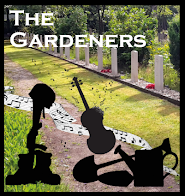 The text itself was rather war-like and seemed an unlikely match for the music. All surviving sources for Gaude Gloriosa date from the 1570's (except for the Corpus Christ fragment with seems to date from the 1540's). Enough of the contrafactum survives in the fragment to show that the structure of the piece was essentially the same as Gaude Gloriosa. 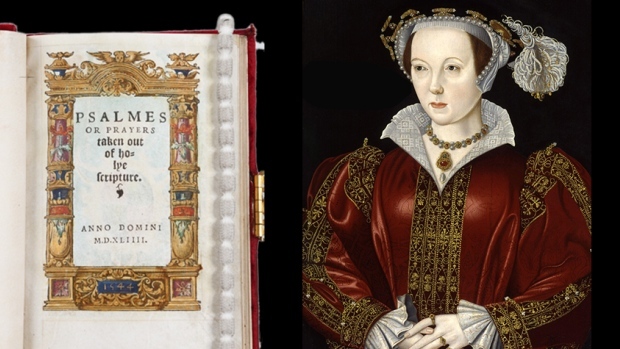 The text is angry and torment, and finally David Skinner was able to track it down to Katherine Parr's translation of the Ninth Psalm which was published in her Psalms and Prayers in 1544. This was the same year that Thomas Cranmer's new English Litany was published, and the year that England was at war with both France and England. David Skinner successfully argued for the contrafactum being produced for a service at St. Paul's Cathedral after the English victory over the Scots and before King Henry went to war in France. He went on to argue for the three items, Katherine Parr's book, the new English Litany and the contrafactum being part of the same political process. 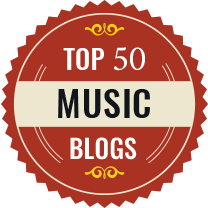 Seen in this light the combination of text and music becomes more understandable as both are typically English with few links to continental models. 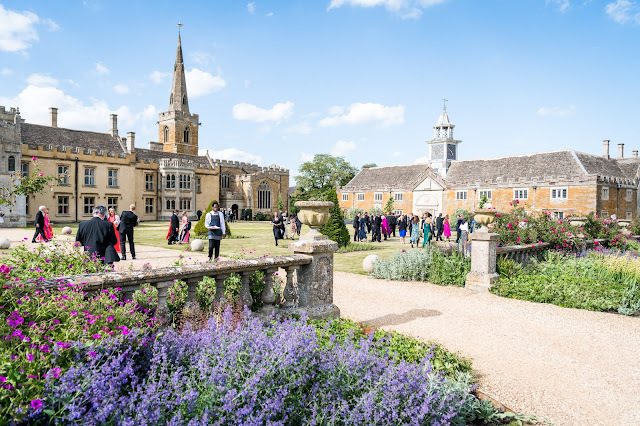 The chronology of Thomas Tallis's music is still not fixed but the papers in the conference provided a few more tantalising clues and made it clear that our knowledge is still not certain. It was great to be able to finish the day by actually hearing the music in question, in Jesus College Chapel. Alamire (Kirsty Hopkins, Clare Wilkinson, Nick Todd, Simon Wall, Greg Skidmore and Robert Macdonlad) conducted by David Skinner performed Magnus Williamson's reconstruction of the Sarum Litany of 1555 with Willliamson himself singing the priest's part, followed by Tallis's O sacrum convivium. Then Christopher Page, in an early Tudor accent, read part of Thomas Cranmer's Exhortation unto Prayer which was issued with the litany in 1544. Following this Alamire was joined by a group of choral scholars from Cambridge University (Fiona Fraser, Hannay King, Oliver Finn, Michael Bell, Toby Ward, James Bartlett and Owain Park) to perform Andrew Johnstone's new edition of Thomas Tallis's 1544 new English Litany and finally the Tallis contrafactum Se lord and behold in David Skinner's reconstruction. A marvellous concert and a wonderful insight into our knowledge of Thomas Tallis's music.